February is one of my favorite months as a teacher. No, not because of the ridiculously cold duty days, but because I am a sucker for all things pink and all things themed! I also feel like February marks the beginning of crunch time for testing season. Boooo. Not my favorite, but, this does give me an excuse to sneak test prep into Valentine's Day themed activities. My fourth graders are absolutely loving fractions, and I am majorly excited to start fraction themed madness with my kiddos this week. My fourth grade pack includes activities geared towards equivalent fractions, multiplying fractions, multi-step word problems, and more! 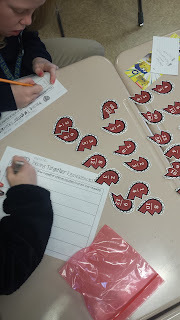 Here are a few pictures of my kiddos from last year working on "Piecing Together Equivalent Fractions". I think I loved this activity more than my students because I was able to hear mathematical dialogue between my students explaining their reasoning behind equivalencies. I was also able to identify misconceptions and address those directly. Sooo excited to implement this activity again this week! 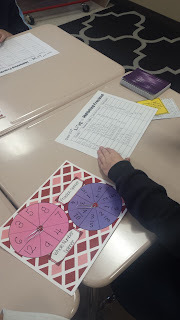 This month we will also be conquering the task of multiplying fractions with spinners! 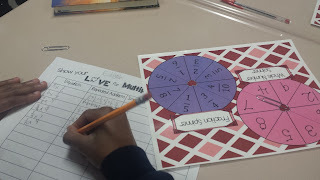 I L-O-V-E a good spinner activity! ...and lastly we will be spiraling multi-step word problems including all operations. 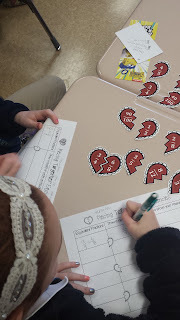 I set this activity up as a SCOOT, but you could also post the heart cards around the room and allow students to walk around with clipboards to solve. This works great as a partner activity or as an independent activity. 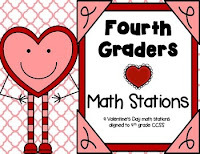 You can find all of these activities, and more, in my Fourth Graders "HEART" Math Stations Bundle. 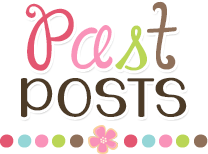 Just click the image below to grab this fun set in my TPT store. 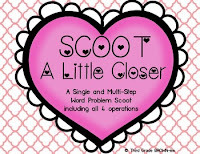 You can also grab the multi-step SCOOT as an individual product by clicking on here! I also have a third grade Valentine's Day Math Center Set focusing on multiplication, division, and multi-step word problems. 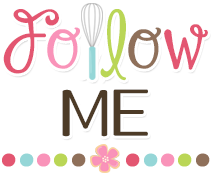 You can also check those out below! 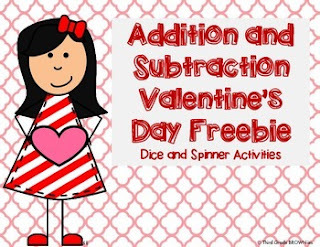 Last, but not least, if you have dice and spinners in your classroom, go ahead and grab this addition and subtraction V-Day themed freebie! 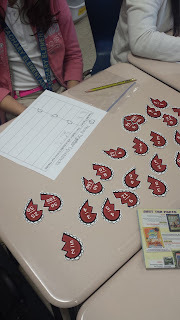 Your kiddos will love this simple activity as a review or in math stations! In my book, a New Year always means a fresh start. I feel rejuvenated when my students enter my classroom after the new year, and I can tell that they are fresh and ready to learn...until Spring Break...but who's counting? 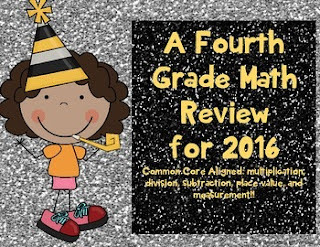 One way I help my students get off on the right foot is by reviewing the math concepts that we discussed in 2015. 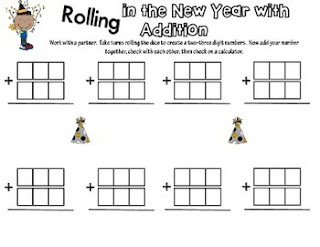 Math + a New year theme = happy, engaged kiddos. 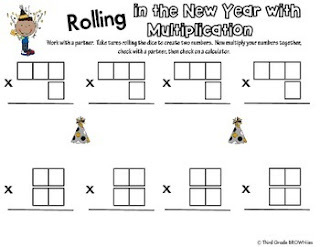 I've completed New Year's themed math reviews with both my third and fourth graders, and they absolutely love the sparkly, counting down until midnight-themed activities. 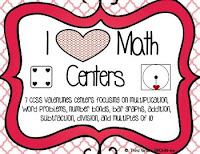 You can use the activities in math centers/stations, as small group activities, have students complete in partners/groups, and even as independent tasks. 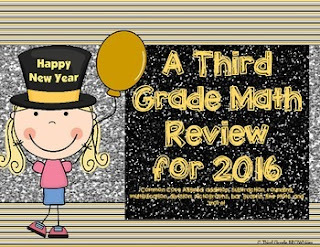 I've included two freebies from my third and fourth grade New Year's Math Review packs below. 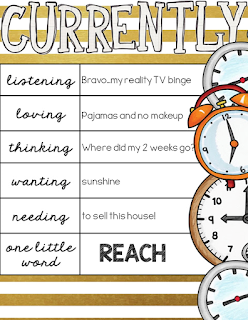 Just click on the Addition Freebie or the Multiplication Freebie to grab yours now! Who am I kidding...go ahead and grab both! Those of you who are interested in the entire New Years packs can click the images below, which will lead you to my TPT store. I hope these products help each of you begin a fabulous year! January 1, 2016. Another year, another chance to change the world! Ok...let's just start with a new year, new opportunities :) I spent my exciting New Year's Eve writing down goals for 2016: personal goals, health goals, professional goals, family/friends goals, etc. My plan i to blog about the progress of these goals, which should hold me accountable to achieve the majority of list! 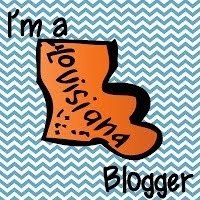 Today I am linking up with Farley from Oh' Boy Fourth Grade for the January Currently. Listening- Bravo has been on my living room TV consistently over the break. I am definitely a sucker and get drawn into the Housewives...okay, and Vanderpump Rules...and maybe Girlfriend's Guide to Divorce. Sorry, not sorry! Loving- This has been my first Christmas break with no grad school or NBCT certification or any sort of school obligation- Thank you JESUS! I am absolutely loving lounging around in new pajamas with no reason to put on any make-up. I honestly do not remember the last time I was this lazy. Again...sorry, not sorry! Thinking- I just cannot believe that today is Friday, and I have to go back to school on Monday. Two weeks off sounds like such a long break, but my two weeks felt like 2 days! Wanting- Sunshine in my life! It seems like it's been rainy and overcast since Christmas Eve. How can I be even slightly motivated to get out of my pajamas in this yucky weather? 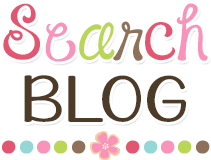 Needing- My husband and I are in the process of buying and renovating a new house; yay! We just need to spruce up our current house a bit and get this baby sold! 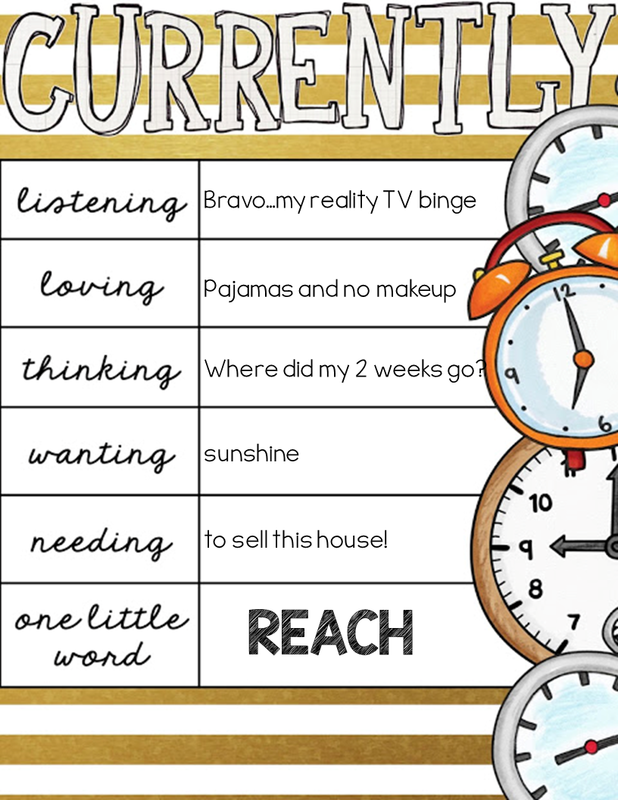 One Little Word- REACH. Reach is my word for 2016 because I plan to reach farther and higher this year, and I WILL reach the majority of my 2016 goals.